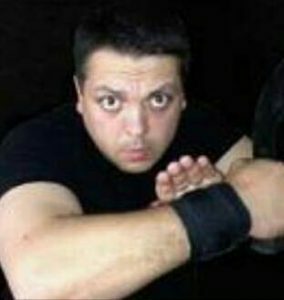 Mr. Vargas is a lifelong martial artist who currently holds a Menkyo Kaiden in Bushi Satori Ryu as well as black belts and instructor rankings in Kuntao, Silat, Kuntaw, Jujutsu and Hapkido. 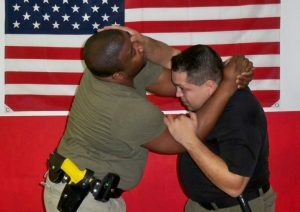 As a certified Law Enforcement Defensive Tactics Instructor, Mr. Vargas has taught defensive tactics to law enforcement Scouts at the local, state, and federal level, as well as security Scouts, military personnel and private citizens from around the United States and foreign nations such as Canada, Italy, and Spain. Mr. Vargas has developed programs which have been approved by the Police Scout training and Standards Board of several states, and adopted by agencies such as the Pentagon Force protection Agency. Additionally, organizations such as the Fraternal Order of Law Enforcement and the International Academy of Executive Protection Agents have given formal endorsements of the programs developed by Mr. Vargas and Raven Tactical International. Mr. Vargas has been an instructor at the prestigious International Law Enforcement Educators & Trainers Association International Conference (ILEETA). 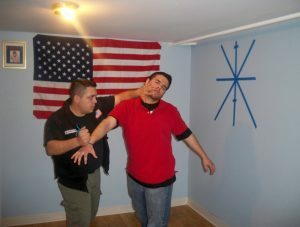 Mr. Vargas currently holds instructor credentials in over 20 defensive tactics and combatives curriculums. As an author Mr. Vargas has published several books on topics such as Law Enforcement Defensive Tactics, Knife Combatives, the Tomahawk, Native American Fighting Traditions, Crime Survival, and more. His writings have also appeared in numerous Industry periodicals. 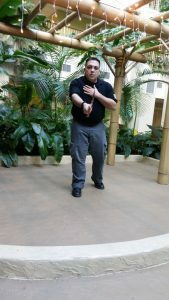 Mr. Vargas has dedicated a significant portion of his career to the study of edged weapons. He is recognized as an edged weapons subject matter expert. Mr. Vargas holds instructor rankings in several edged weapons curriculums ranging from Native American knife combatives, Kali, Military knife combatives, and several others. He is the only American to be granted the title of Soma de Cutel by Grand Master Gilberto Pauciullo and the Instituto per le Tradisioni Marziali Italiane. Mr. Vargas has also been awarded the honorific title of Master Knife Instructor by his Sifu David Siewert. and the designation of Mater At Arms by Ernest Emerson and the Order of the Black Shamrock. Mr. Vargas was named Trainer of the Year 2011 by the Alliance of Guardian Angels and has been inducted in several halls of fame for his instruction of Defensive Tactics and Combatives. Mr. Vargas has been inducted into several Martial Arts Halls of Fame and has been awarded the Presidential Service Award and the Shinja Buke Ryu Humanitarian Award for service to the community.